Do you love copycat murders? do you love immersive games? Do you love escape rooms? This brand new intense murder mystery game The Copycat which you can buy through COLAB has been created by the award winning nominated Splutter Theatre. Question is our you brave enough? Have you ever wanted to play detective? Plus are your nerves made of hardened steel? As the Copycat is a uniquely terrifying immersive experience that puts you right in the middle of all your favourite horror films. Anthony Larson has been following the kidnapper of his subsequent murder of his sister, by a yet to be apprehended serial killer known only as The Copycat. However Larson needs help of new detectives. Inspired by true crime cases, The Copycat is part murder mystery, part immersive horror show and part escape room. Question is will you be brave enough to step inside and take on the 90 minute challenge and will you come out alive? Warning: show is for over 16’s. Rooms contains images of extreme violence, claustrophobic spaces, extreme tension, jump scares, flashing lights, and adrenaline pumping horror. Thanks to COLAB who let some of us from Love Pop Ups London come down to help solve the murderous crimes. Read our blogs/reviews from the comments section below. To find out more or to book click here. This week I was back at the Co Lab factory for another immersive show, this time put on by Splutter Theatre. I never really know what to expect on my visits as everything is always so different. Even the space itself is usually completely transformed to match the story being told, this time was no different! Copycat is an immersive horror show and I didn’t really know what to expect. Immersive theatre spans such a wide degree of interaction and I wasn’t quite sure what to expect. Colab prides themselves in delivering the unusual and unexpected so they have definitely achieved their proposition. Upon arrival we were directed to the waiting area where there was a bar (where you could order a drink if you wanted to calm your nerves). This time of the year it was already pitch black by 7pm so I was already well in the mood. We were asked to leave all our belongings in that area and told a safe word. When you say the safe word you will be escorted out of the experience. I think that spooked and ironically also reassured most of us. We were led outside to another building entrance where we were led to an abandoned building which functioned as Anthony Larson’s hideout and he filled us in on the case that he wanted our help on. All of you work as a group to solve the case but I can’t help but there is something fishy going on in the back of my head. I don’t want to ruin your experience by telling you what’s going on but I will let you know a couple of things that won’t spoil the fun. You will not be physically touched if you don’t want to. Although, since I hated cramped and dark spaces, I asked if I could touch a member of my group’s shoulder. I was definitely scared but you will not be harmed in any way. Just be careful of dark areas and make sure you don’t trip on objects when passing. You won’t be asked to crawl or jump or balance. Stay with your group at all times, you don’t want to be lost. Although I’m sure if you do, just wave because they have cameras to monitor you through the experience. I also recommend coming in comfortable footwear. Overall, I definitely think this is a great fright experience. There are unexpected moments and it is definitely very immersive. I was so scared that I even though it was shorter for me to walk home, I opted to take the tube so I can be with the group. 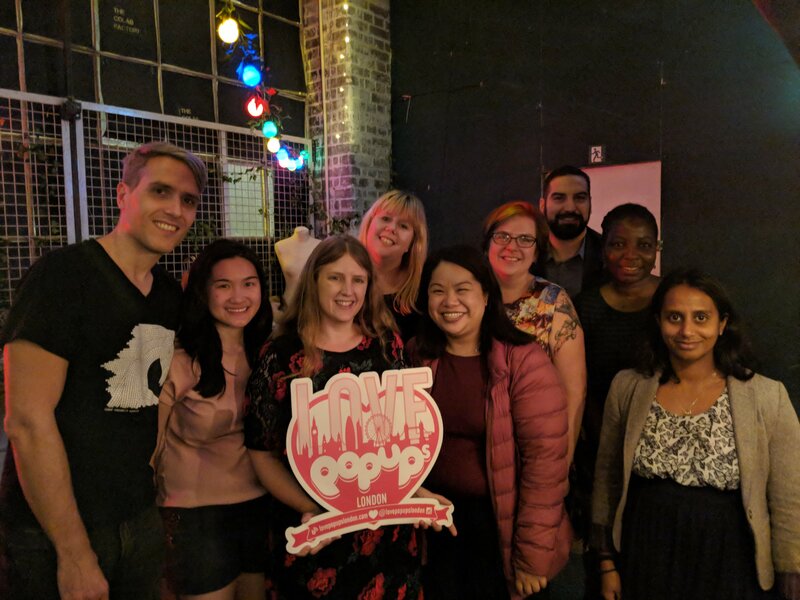 A group of us played the Copycat game recently and it was the first time I had played an escape room involving actors. I found the addition of the the actors changed the dynamic of the game quite a bit and it created another dimensions to proceedings. The actors were good and believable too. In terms of the game itself, it was really good and fairly terrifying at times – I was constantly on edge wondering if someone was going to jump out at me. However, I do think this could have been event better at the end as there was a great opportunity to make a lasting impacting and scare a group on edge even more. The game ended rather abruptly for me and I think more could have been done at the end, especially as we successfully escaped. All the elements are here for a great game, but it just need to go a little bit further. A couple more torches wouldn’t go amiss either. If you’re looking for something unique and immersive to do this Halloween, make sure it’s CopyCat. Tickets are only £22.50 and the show is running until the 11th November.